Every brand needs to explore viable and sustainable alternatives to plastic packaging. In addition, every consumer must make considered purchases. When packaging can be recycled, we must make every effort to ensure that it is put into a recycling bin. From Friday 22 March until Tuesday 23 April, individuals and groups across the UK will be hosting and supporting litter picking events across the UK. 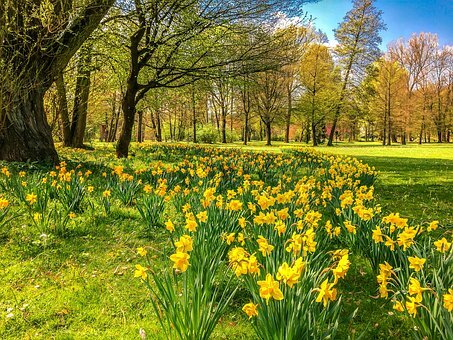 Awareness of the damaging effect of rubbish, particularly plastic waste, the Great British Spring Clean aims to get us all out making a positive contribution to our local environment. There are a growing number of regular beach clean-ups being organised as we become more aware of the impact of plastic in our seas, but this isn’t simply a coastal issue. Aylesbury has long had a reputation as being one of the furthest towns from the sea, yet litter has a negative impact on the countryside and wildlife in and around the town. There are a number of events happening in Aylesbury as part of the Great British Spring Clean campaign. Even if you simply collect up the crisp packets, plastic bottles and sweet wrappers that blow into your garden, it all makes a difference. Lead by example; if you respect the environment others will be encouraged to do the same. With a passion for protecting our seas, the Ellen MacArthur Foundation encouraged leading brands to declare the volume of plastic packaging they produced annually. In a bid for greater transparency, the data from the 30 companies that agreed to take part shows the scale of the problem. A global taste for Coca Cola drinks means that 3million tonnes of plastic bottles were produced by this brand alone in 2017. Considering that only 9% of plastic packaging is currently recycled, that is a lot of non-biodegradable waste ending up on our streets, in our seas and in landfill. The company was, however, praised for sharing this information and is working on reducing the volume of plastic used in drinks packaging by 2020. In total, the 30 participating companies collectively produced over 8 tonnes of plastic in 2017. When you consider all of the packaging produced by all of the brands across the globe, this is only the tip of the iceberg. It may seem an insurmountable problem, but every brand needs to explore viable and sustainable alternatives to plastic packaging. In addition, every consumer must make considered purchases. When packaging can be recycled, we must make every effort to ensure that it is put into a recycling bin. If your brand is keen to explore whether corrugated cardboard or carton boards could provide protective, desirable and commercially viable packaging for your products, get in touch with Aylesbury Box Company on 01296 436888.